Fierce and mean! It has to be a Black Legion blade! 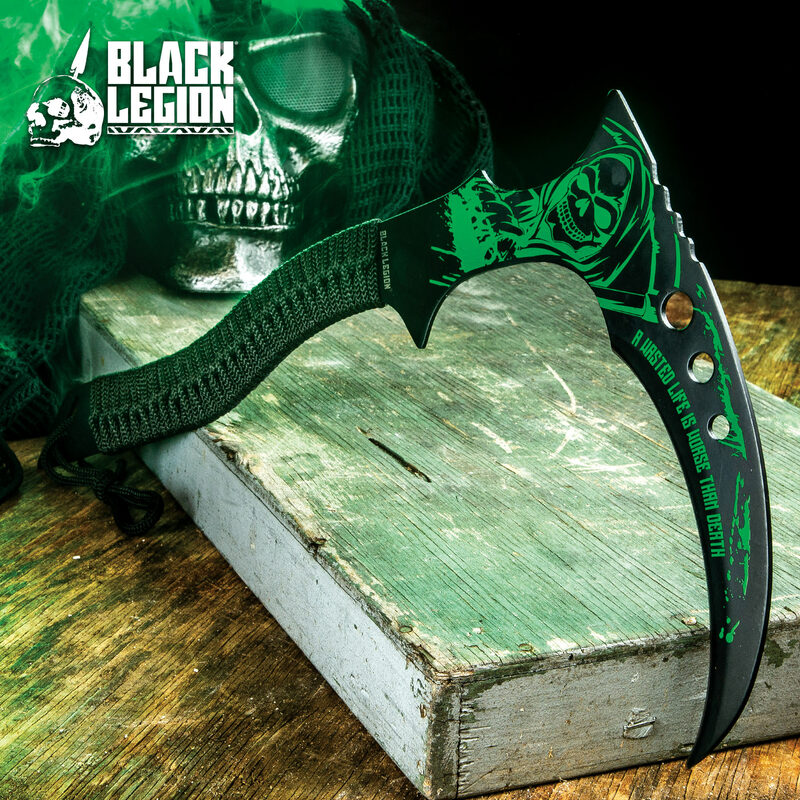 There’s no question that the one-piece design, solid stainless steel Grim Warrior Kama means business. 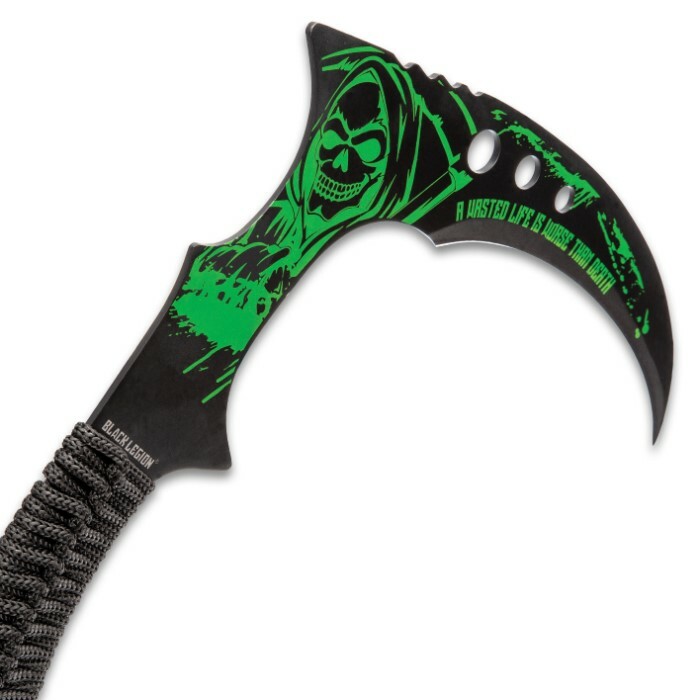 It has a menacing 14 1/2”, black-coated blade with an evil green, detailed etch of that harbinger of death - the Grim Reaper. 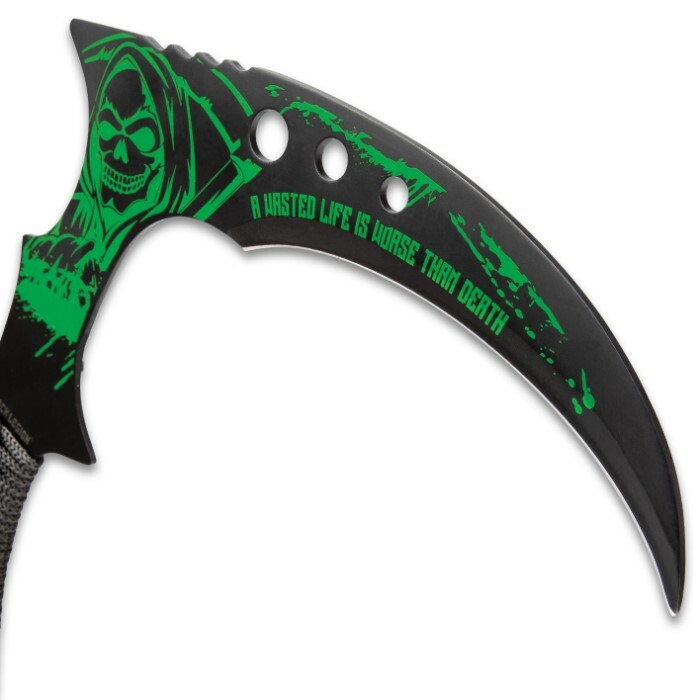 The blade also bears the words, “A wasted life is worse than death” and features thru-holes. The black cord-wrapped handle gives you a secure grip and the cord extends into a lanyard for an extra measure of control when using the vicious blade. You will be surprised at how light and easy to use and carry this kama is. A premium nylon sheath houses the blade for safe storage and carry.